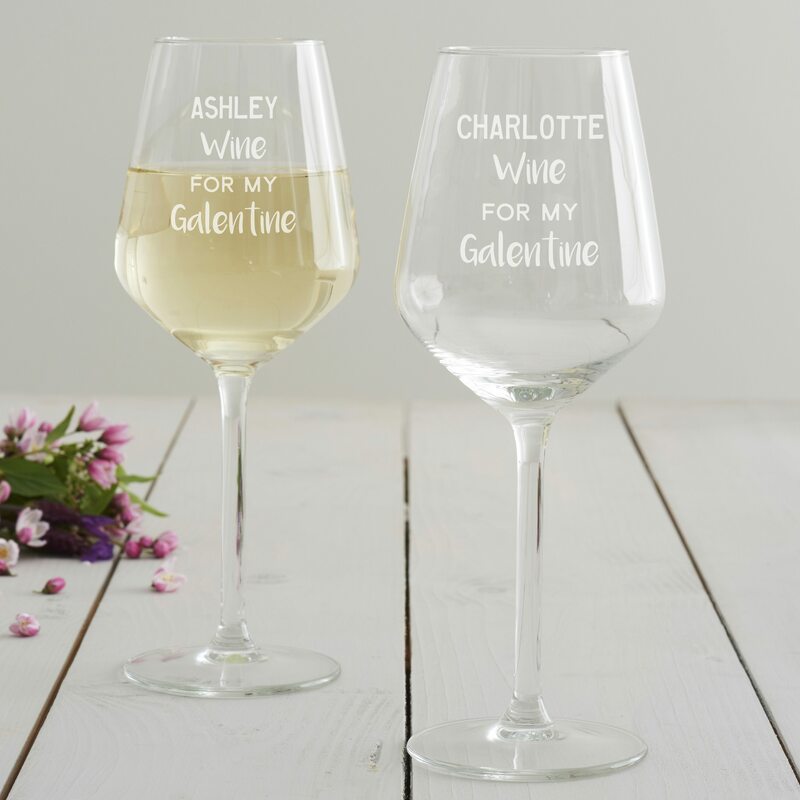 Celebrate friendship this Valentine’s Day with this personalised wine glass. 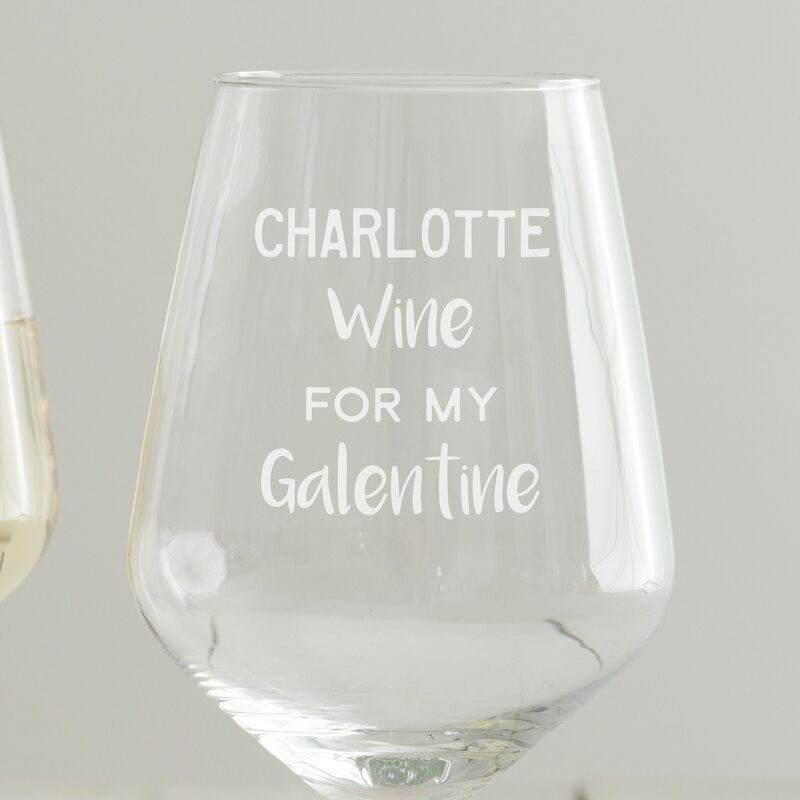 Perfect for those spending a night in with a bottle of wine and their bestie! 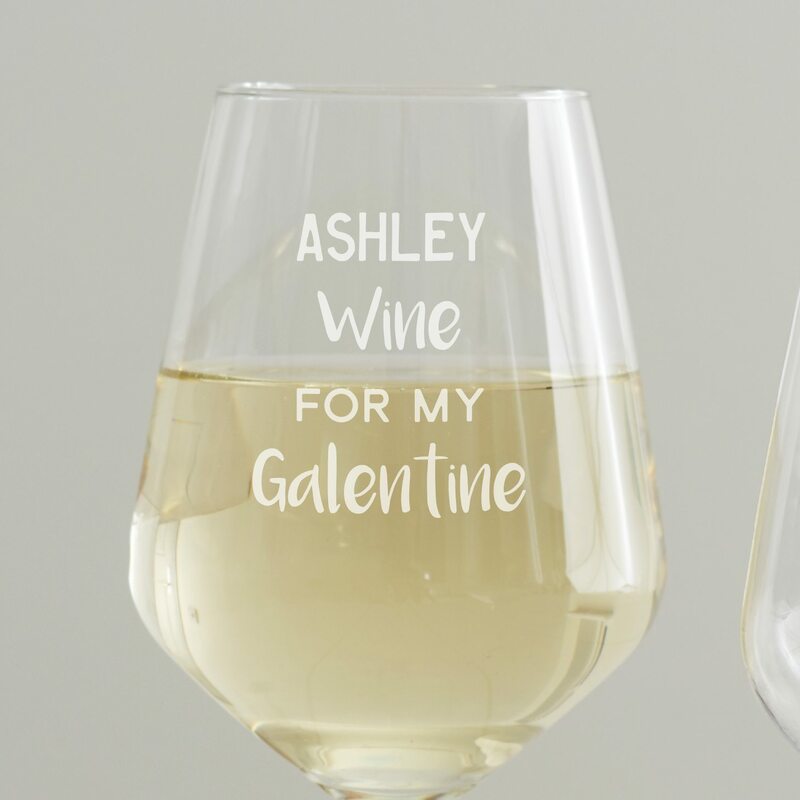 The personalised wine glass comes etched with the words, ‘WINE FOR MY GALENTINE’. 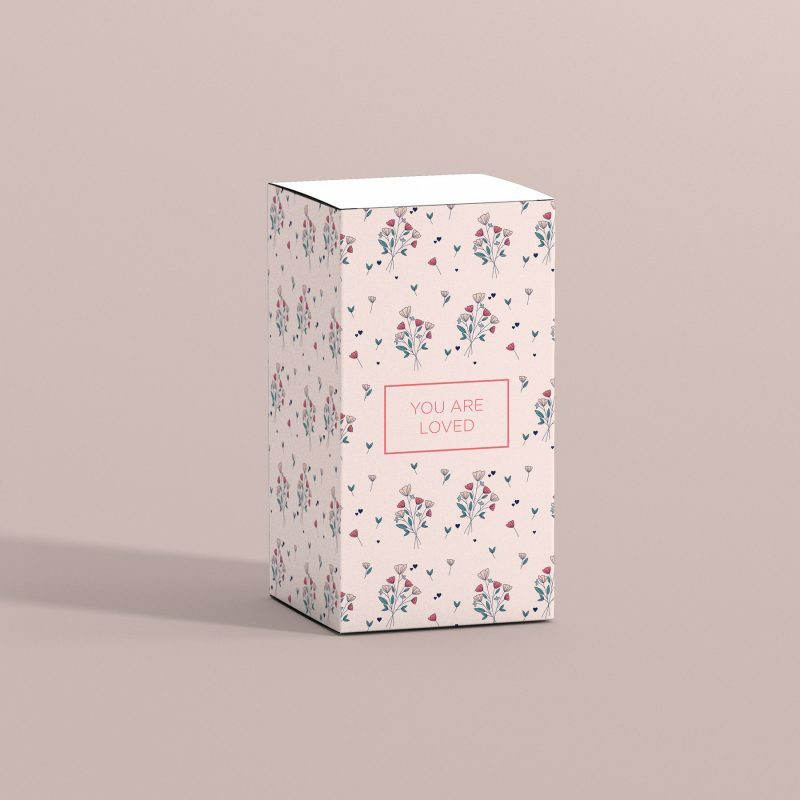 Just enter your name of choice into the personalisation box. 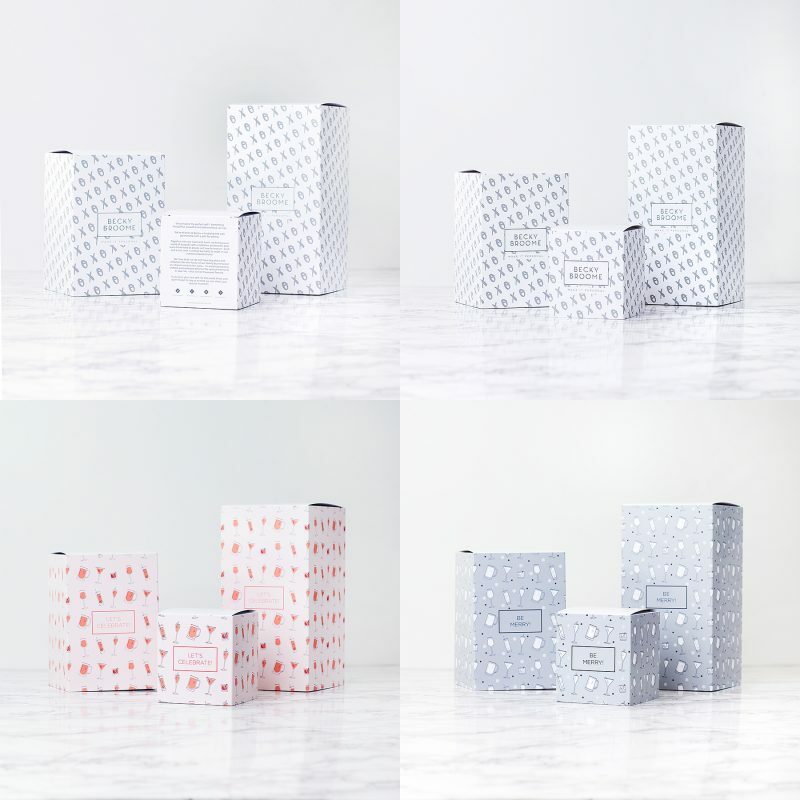 You can enter up to twelve uppercase characters for your chosen name. Please check all spelling as we will etch exactly what you enter.